Is science fiction past its sell-by date? Science fiction’s place in mainstream literature is undisputed. Aldous Huxley, George Orwell, Margaret Atwood, Audrey Niffeneger, Kauo Ishiguro, David Mitchell, Cormac McCarthy and many others have written novels that clearly meet the criteria of a scientifically possible departure from present or historic reality. Their popularity is as broad as their respect is high. Ideas far from the everyday — aliens, human clones, time travel, genetic engineering, disasters and dystopias — are no barrier to popular reception and critical success. But most of the readers and some of the writers of these books will hotly deny that they’re science fiction. Science fiction is something else, which respectable authors don’t write and discerning readers don’t read. The dismissal is mistaken, but the distinction is not. We know there’s more to it than literary snobbery because it’s made from the other side too. Habitual readers of SF may enjoy these works but they read them as literary or popular fiction, not as science fiction. Why not? It isn’t the ideas, as we’ve seen. It isn’t the quality of the writing, or the depth of human truth. In those regards Ursula Le Guin, Thomas M. Disch, Octavia Butler, and Gene Wolfe can go toe-to-toe with any literary prize shortlist. The distinction being gestured at is between SF as a literary form and SF as a commercial genre. 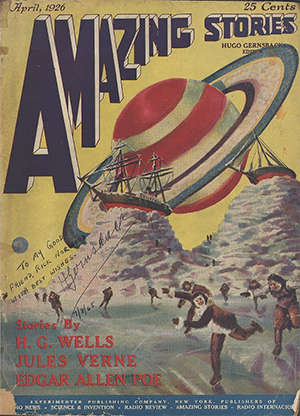 The latter, as American critic Gary Westfahl has argued, was founded by Hugo Gernsback. In 1926 this serial entrepreneur, publisher and editor of popular science magazines launched Amazing Stories. He gave his formula for what he then called ‘scientifiction’ in its first issue: ‘a charming romance intermingled with scientific fact and prophetic vision’. Gernsback was intent on popularising scientific discovery and technological possibility, and on drawing attention to their social consequences through the medium of popular narrative. The story was the delivery vehicle: the coating on the virus, the sugar on the pill. Charming romance + scientific fact + prophetic vision = science fiction. This might seem like a formula for, well, the formulaic. And it certainly can be. The chunks of clunky exposition beginning ‘As you know, Professor …’ have become notorious. But the formula has proved surprisingly persistent, and increasingly sophisticated. The information theory info-dumps in Neal Stephenson’s Cryptonomicon (1999) are an entertaining read in their own right, and its complex plot draws on half a dozen popular genres. Its prophetic vision is a revelatory insight into the minds and motives of the sort of secretive nerds who increasingly shape the world. Shards of Honor (1986) the opening novel in Lois McMaster Bujold’s long-running Vorkosigan saga, has a classic romance plot: find the most dangerous man around and marry him. The sequels combine adventure and intrigue with comedy of manners (‘Like James Bond written by Jane Austen!’ was my first reaction) and the often unexpected social implications of various technologies, from biomedical to astrophysical, are followed through. Kim Stanley Robinson’s Green Earth (2015), condenses and updates his ‘Science in the Capital’ trilogy, and tackles climate change in the format of a Washington, D.C. political thriller (with a liberal dash of wryly observed family life). It wouldn’t work at all if the science and its politics weren’t solid, and they are. As with a three-legged stool, removing any one element from Gernsback’s formula makes the whole thing fall down. If you take out the prophetic vision — the social consequence — and keep the scientific fact and the thrilling adventure, you get a technothriller, in which the genie always ends up back in the bottle. If you remove the thrilling adventure — the popular narrative form — well, I’m not quite sure what you get, apart from rejection slips. If you remove the didactic element, the ‘scientific fact’ taken seriously and for itself, you get precisely the kind of book that meets some formal definitions of SF but whose readers (and often writers) will insist isn’t SF. And they’re right! What they mean, whether they know it or not, is that it isn’t Gernsbackian SF. The non-human exists in these books primarily as a metaphor for some aspect of the human condition, not as an element of interest in its own right. It’s that interest in the non-human (the ‘scientific fact’) for its own sake that marks out genre SF. The effect works, ironically enough, even when the science is conjectural (faster-than-light drives, telepathy, mind uploading…) or — as in much SF of the Golden Age, with its Martian canals and Venusian jungles — long since exploded. We now live in what might be called the Golden Age of Science Fact. But is the Gernsback formula obsolete? We now live in what might be called the Golden Age of Science Fact. Popular science books are more widely read, and more expertly written, than ever. If you want the wonders of the universe and the intricacies of nature’s mechanisms brought home to you, you know where to look. Likewise with the social sciences: popular works of economics, sociology, politics, and psychology, often with a strong predictive and exhortatory bent, fill the shelves with all the ‘prophetic vision’ you could ask for. Gernsback’s counterposing of the dry scientific textbook to the engaging but educational narrative is now quaint. And with literary fiction looking to imagined futures and alternate pasts, alien planets and artificial intelligence, is there anything left for genre SF to do? I think there is. Genre SF remains the only form of literature that takes seriously, and takes to heart, the universe of non-human nature that science has discovered. Its readers get from it a particular kick, a bite, that they don’t get anywhere else. The world still needs that smack upside the head from the infinite reality beyond human affairs. A better or more enjoyable way of delivering it than genre SF has yet to be invented. Ken MacLeod is the author of twelve previous novels, five of which have been nominated for the Arthur C. Clarke Award, and two which have won the BSFA Award. Ken MacLeod is married with two grown-up children and lives in West Lothian. You can find him on Twitter. 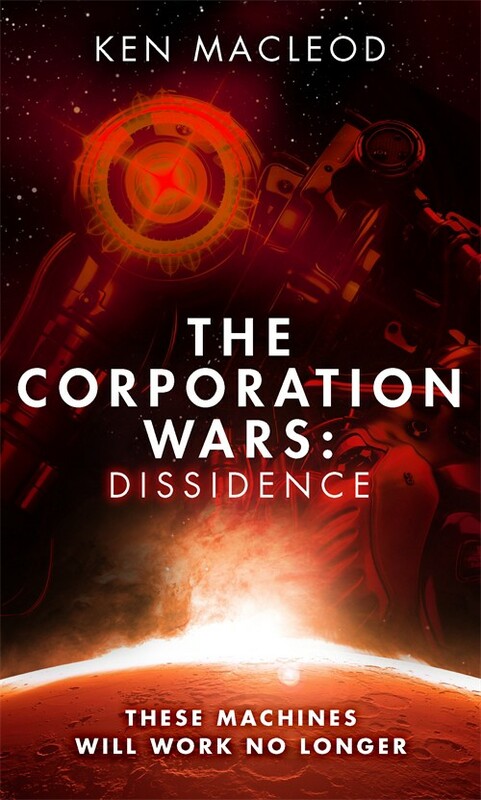 Ken MacLeod’s latest novel THE CORPORATION WARS: DISSIDENCE is available now. Bright minds and big ideas: writing from Orbit authors.